Does CBD show up on drug test? - Will CBD make me fail the drug test? Worried that you could fail a marijuana drug test after taking CBD oil? This article will answer all your questions about CBD oil and drug testing. Growing amounts of research continue to illuminate the positive effects of cannabidiol products. People suffering from nausea, spasms, and chronic pain now have some sense of the rule. Even as the light grows bright and the darkness of their lives fade, a new problem arises. Now that they are well enough to hold down a job, will the very products helping them be a problem? It is a tough question for many. 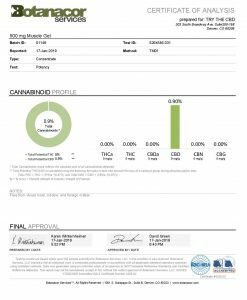 Will cannabidiol products (CBD oil and related) show up in a marijuana drug test? This guide will walk you through the ins and outs of the testing process. And the regulations of drug testing for workplaces. It will also answer the question we get asked every day: Does CBD Show Up on Drug Test? This information should prove a good understanding of the risks attached. Keep reading! Cannabidiol commonly referred to by the much easier to spell CBD. It contains many, but not all, of the health benefits of the Cannabis sativa plant. Like other marijuana products, a number of points exist which have many points and effects. CBDs major difference from marijuana lies in the lower to the non-existent amount of THC (tetrahydrocannabinol) in the products. Because THC gives the psychotropic properties of the hemp cannabis plants. It’s the feature more closely scrutinized and controlled by drug enforcement. 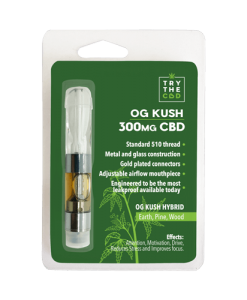 Separating the CBD from the THC allows CBD products to be available more widely and legally than THC products. However, because they come from the same plant and are linked chemically. The concern over what a marijuana drug test looks for and if it will find CBD use becomes relevant. Though CBD has shown many positive effects in treating ailments, the entourage effect limits the end result. This effect, which is not currently well understood. Indicates that CBD and THC interact with each other in a way that apart they do not. The potency of effects for both seems to grow when they accompany each other, hence entourage effect. While new research has been slow because of restrictions. It’s hoped that in the future, this effect will be better understood. And more potent forms of CBD will become available. CBD oil has broad uses for treating a variety of ailments. The effect of CBD as a treatment largely come from interaction with neurotransmitters. The market for legal marijuana products has grown. And is shown to be worth more than $60 billion within ten years. 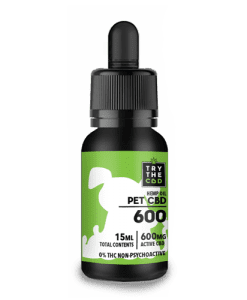 We have given some more exhaustive lists of what CBD treats already. Generally speaking, anything caused by abnormal neurotransmitters shows improvement. The second category contains appetite and digestive relief which comes from aiding of amino acids in the GI system. CBD products get marketed through oils, crystals, capsules, and balms. Like any other pharmaceutical, these come in different sizes of dosage. Which can be scaled up and down via the packaging. And then controlled further by individuals. Controls can be done through frequency or multiples of the dosages provided. Calculations on effect from body weight, age, and so on have not been easy to research. So many products are provided with recommendations on how to scale rather than flat instructions. Marijuana drug test standards have been in place for years. Even though the legality of marijuana products such as CBD oil has shifted, the regulations regarding drug tests have not. This creates a sense of panic because there exists no specific ruling that prevents a company operating. Under the Division of Workplace Programs oversight from refusing employment or firing a person that tests positive for marijuana usage. Marijuana drug test protocols utilize antibodies to detect THC as well as its metabolite (11-n0r-THCCOOH). The antibodies attach to THC which then show for the drug screeners. The more THC in the system, the more likely there will be a hit on the test. What the antibodies do not look for or attach to is CBD. Generally, a product with low to no concentration of THC should prevent the attachment of antibodies. And therefore yield a negative result on a test in urine or blood. Blood tests tend to be the most accurate. Hair tests are less accurate but can detect usage and build-ups for a longer time frame (six months). Urine tests are the most common because they are cheaper and cover a middle window of a few weeks. 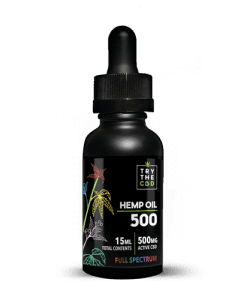 CBD oil with little to no (less than 0.5% THC or less). Will have a hard time giving a positive result. Unless large quantities are used. By large quantities, we mean 2000 mg or more daily. Even so, at 2000 mg and above of daily use, the result will only give a false positive. GC/MS (gas chromatography/mass spectrometry) tests will be used to verify the result. And will show negative because they are designed to find THC, not CBD or other cannabinoids. Unless the CBD product company has a problem with its refining process. 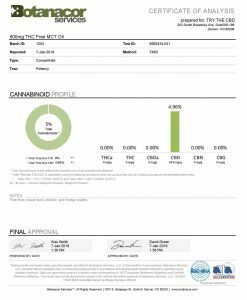 Or is behaving unethically in what they list as the THC content of their products. There is little to fear with medicinal use of products. To better understand exactly what each type of marijuana drug test looks for. And why those tests will not be an issue for CBD use, the following gets into the gritty details. Several different types of tests exist, and each has different reliability and cost. Generally, the lower cost tests give faster results but are also more prone to giving incomplete results. Depending on what level of scrutiny a company wants to put out, tests can cost over $100 to run. Tests can be performed using immunoassay techniques, gas chromatography or a combination of gas chromatography/mass spectrometry (GC/MS). These different methods offer variable precision as well. Much like the substance being tested, the more precise tests take more time and cost more. Originally developed for use by parents concerned about what children. And teens may be up to, these marijuana drug tests use dipsticks and color-strips of the Immunoassay variety. These tests don’t hold much sway in a legal sense. They’re used as something to determine if further testing will be worthwhile. Basically, these tests are used to rule out use, not rule in use. Dipstick tests commonly require a second sample. Cup tests with built-in strips are designed to indicate in one area. And keep the other portion of the specimens for review in a lab using other methods. Instant tests are exclusively urine related. Urine-based marijuana drug tests take a sample, often collected in a sealed plastic cup. And done up with tamper evident tape, and splits it into two portions. The first portion is screened using immunoassay analyzers. If there is a positive, a confirmation is obtained through GC/MS using the second portion. Saliva-based marijuana drug tests can only detect the usage of substances within a narrow timeframe. For marijuana products, this is no more than 24 hours unless a person is a heavy user. Which can create a build up that can last a little longer? Saliva tests work like urine tests with immunoassay analysis first. And GC/MS for confirmation of any positive hit on the first portion. Workplaces seem to be doing more saliva testing because it’s better for detecting on the job use. Rather than after-work recreational use. Management can collect samples quickly and without numerous pieces of specialized equipment. Together these conveniences are backed up by saliva being a strong test. With a middle degree of accuracy in the spectrum. Hair based marijuana drug tests have a high degree of accuracy. And they also have a high retention time. The highest retention time because metabolites get deposited into hair after going through the bloodstream. Hair tests measure for roughly 90 days which is measured in 1 and 1/2 inch amounts from the scalp. A hair test cuts the hair near the scalp and then liquifies the hair to be subjected to GC/MS testing. Hair tests are more expensive than urine tests so they normally are only done in high volume. Or high-value industries such as the casino industry. Blood used for a marijuana drug test works on the same principles as other tests. But have a higher degree of accuracy because of the purity of samples. Other tests take a substance and then process it to some extent to be fed into machines and devices. Most commonly these are liquids and gasses, which blood already is. Blood testing doesn’t occur often because taking blood is viewed as more obtrusive than other methods. Because blood is a volatile fluid which is considered a bio-hazard, it has to be collected by trained professionals. Job sites are often underequipped for this kind of testing. These biochemical marijuana drug test protocols measure concentrations and the presence of substances. They do this through the use of antibodies. Immunoassay tests process blood and urine commonly. Binding of antibodies to specific molecules shows a color change. The more of a substance in a sample, the more color concentration. These tests have a few issues with false positives and negatives. These occur from other drug interactions and storage temperatures for samples. Outside of a small temperature window, samples can become non-viable. For this marijuana drug test, a sample gets separated into extracts and component parts. Inert gas forces samples through columns which measures the temperatures and affinity of the chemicals within. The time a sample takes to separate gets measured and cataloged in a process called retention. Every substance has a unique retention time so it can be used. To create a complete picture of what a sample contains. No matter how many elements are in a sample. Next, the MS portion provides information on the exact molecular weight and components of each sample. To accomplish this, samples are bombarded by electrons in a mass spectrometer which breaks up the molecules into fragments. The fragmentation patterns are measured and compared to known results which are reproducible. These tests can determine why a false positive or false negative occurred. By finding exactly what other compounds may have caused binding issues with immunoassay tests. Given the number of devices and the precise nature of the reports. It’s easy to see why this gets expensive and takes time. Because of the widespread demand for marijuana drug test protocols in workplaces. The cheaper methods are by far more common. The Substance Abuse and Mental Health Services Administration (SAMHSA) provides regulations and controls for marijuana drug test administration. 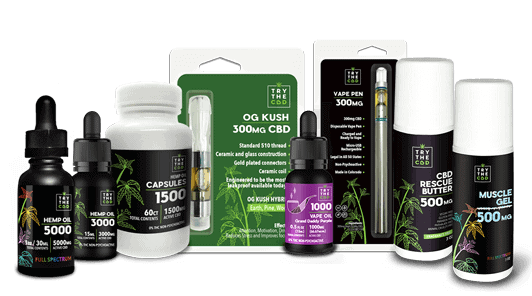 Their website on marijuana offers a lot of cautions, but these are aimed at THC rich products and ignores CBD products. Lawsuits and trends have been pushing employers to reconsider drug testing policies in regard to marijuana products. Occupational Health and Safety wrote about the general weakening of enforcement over a year ago. While they cautioned employers that this would have a negative that would hurt business, the trend continues. 2017 showed several court rulings against employers firing for approved medicinal product use. Though encouraging, this doesn’t mean that drug testing will stop looking for THC. And will not expand under the current administration. The odds do seem low, however. Though a test does exist to identify CBD, the Beam test, it’s not currently used. The test works like an Immunoassay test and is used to determine the purity of products when being manufactured. Though it could be used to detect regular drug use. 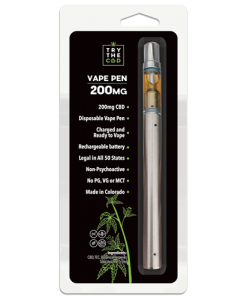 It has not been developed in the way that THC tests have. You may have already read about CBD in relation to a drug test. Though it is a good idea to go through a summary of what you may have learned about it previously. The goal is to go through almost everything important we talked about some time ago in another part of the article. 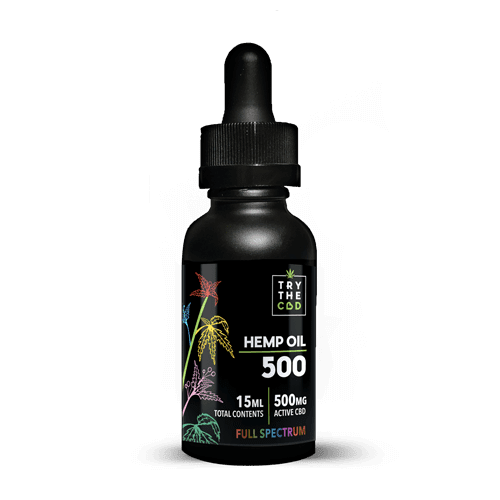 As you may have heard (or even seen on the news or something) that CBD is getting really popular. People have been using to it treat pain, anxiety and even inflammation. Not only this, but CBD has been approved to treat Lennox-Gestaut Syndrome and Dravet Syndrome. Both of these are severe forms of epilepsy. This is not the end of it now, as it was recently approved from one and only FDA (Federal And Drug Administration). CBD extract can be found everywhere these days. You can find it being mentioned on a couple TV series and Movies (Remember Pineapple Express). 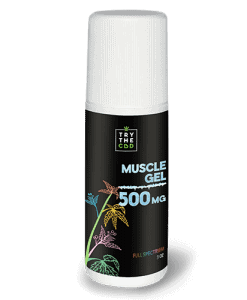 You can find it lots of forms, for example, it is available in oil, gummies, capsules and many more. It is available on many online stores and even actual stores all over the country and even the world. Now coming to the point here, which is also the main reason behind all this hoopla of drug tests and CBD usage. The main reason is also the question many people are asking, which is if CBD can come under the radar of any drug test you might take. Well, there are two answers to this question and they start from a Yes and No. Yes because somehow CBD product usage can get you in this kind of trouble and NO because CBD is not the culprit behind it but usually THC is. 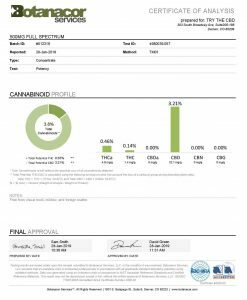 Drug tests are not made to detect CBD but THC (Tetrahydrocannabinol), which is present in most strains of cannabis and is in high quantity. Pure CBD, fortunately, does not have this even though technically it is a chemical itself and therefore is not intoxicating. THC is what intoxicates us from the cannabis plants strains. To put it in other words, cannabis strains with High CBD are usually low in THC or do not have THC at all. So why does sometimes CBD can get you the trouble of a Drug Test? Well, this is because sometimes the strain that is used in a product may have low THC or to increase the effects of CBD, THC is also added in the product. Drugs tests are made to check for THC hence this is why you will be caught! So it is the THC that might there or might be added later, which lands you in trouble. We hope it has been clear to you now. 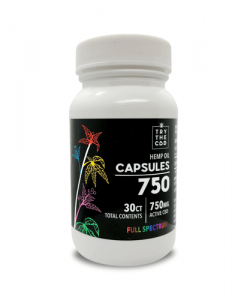 Our Isolate has absolutely no THC and our THC FREE Tinctures, THC FREE Capsules contain 0% THC as well. However, we are unable to legally state whether or not one of our customers will pass a drug test for any of our products. Please consult with your doctor and/or employer if this is a concern. You can also do some research on projectcbd.org Our products are made with high-quality natural ingredients and thoroughly processed to remove as much THC a currently possible. We also have a rich and growing database of CBD related information. Come check out what we have to offer and learn more about what CBD products can do for you. This entry was posted in Featured Story and tagged cbd drug test, cbd oil drug test, does cbd show up in a drug test, Does CBD Show Up on Drug Test.